Perth’s leaders in the Lash Lift revolution! A Full Lash Lift including a free Lash tint on top and bottom lashes will be performed in under an hour. Once the relaxing treatment is over, the results will last for up to six weeks with ZERO maintenance. The latest eyelash enhancement has taken Europe by storm and was the most requested treatment at beauty salons on Australia’s East Coast last year. A Lash Lift, also known as “LVL Lashes” or “Yumi Lashes“, is the latest development in Lash Technology and will open up your eyes and brighten your entire look. Eyelash Lifts straighten, lift and then reshape your natural lashes from the root creating ultimate volume and length. The process involves using a light adhesive to lift your natural lashes from the root and bond them to a silicone mould. It’s very important that your natural lashes are styled with precision to avoid any criss cross and bonding on the new shape. This is where our years of experience in the precision required for Eyelash Extensions will set us apart in the perfect results we experience from Lash Lifting. The most fundamental part of this process is perfect placement of your natural lashes prior to the setting and lifting process, if not done correctly a messy result can ensue. A Lifting solution is then used to release the lashes from their natural curl and straighten them, increasing their length. This is followed by a setting agent to lift and adhere them to the mould defining their new expertly designed shape. Once complete, we include a complimentary Lash Stain (tint) to really make your eyes go pop! Black, Blue Black, Red , Purple and Chestnut tints are in stock. Relax and close your eyes. Even more relaxing than having eyelash extensions applied. A Lash Lift is a comfortable treatment which takes around 40-60 minutes. You can enjoy the same Lash Nap experienced during Eyelash Extension sessions! Add luscious length to your lashes. The unique relaxing and straightening solutions make your natural lashes appear much longer minus the lash extensions. A Lash Lift will also create the illusion of volume by making visible shorter lashes which were previously unseen. Do you have short or sparse Lashes? Lash Lift is also suitable for ladies with shorter lashes. Lash Lifts offer those with eyelashes normally too short or too weak for extensions another option. 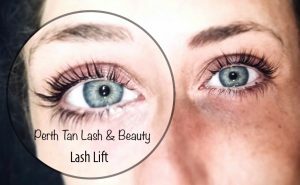 Your Perth Lash Lift grows out and sheds with your natural lash cycle making lash lifts a wonderful longlife beauty treatment. 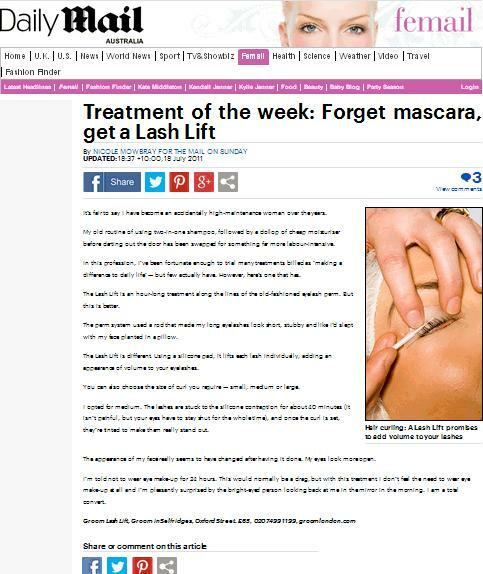 Lash lifts last up to 6 weeks. Lash Lifts require minimal aftercare – Swim, Shower & Play as Normal. They are also free from the ongoing maintenance of Lash Extensions with no need for regular refills. 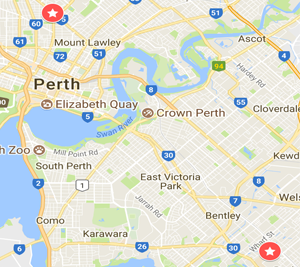 At Perth Lash Extensions, we use Ellabeena products. Their high grade formulation will professionally Lift, Nourish & Condition your lash lifts. The entire process will take an hour and costs $99. Book Now to see live availability & confirm your appointment now. Some of the results of our recent Lash Lifts are above. Click on the instagram post to follow us and see pictures of our latest work. Sign up for subscriber only offers & news!